Have you ever had one of those days where you don't really want to go out or do anything and you just are really in a movie mood? That was the feeling I woke up with today. So I decided to make some tasty snacks, put on my AC, and lie comfortably on my couch under some soft covers to watch some movies. I know that sounds like a big waste of a day, but I really enjoyed it! It was fun to relax and to simply enjoy a good movie! Today's outfit was actually inspired by Kendi from Kendi Everyday! 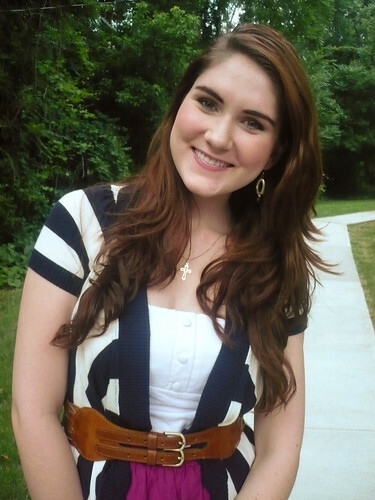 I really like how she combined her striped cardi with a red skirt, so I decided to do a similar look. I'm really happy at how my copycat outfit turned out, especially since I got to wear this cute striped cardi for the first time since I bought it quite some time ago. 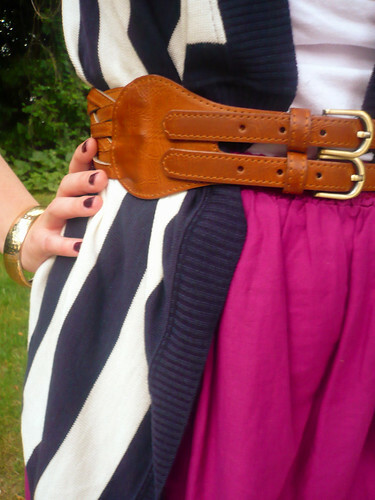 Love the belted cardi, what a great belt, and the dress is wonderful everyway you wore it! I love this outfit! It is so cute. 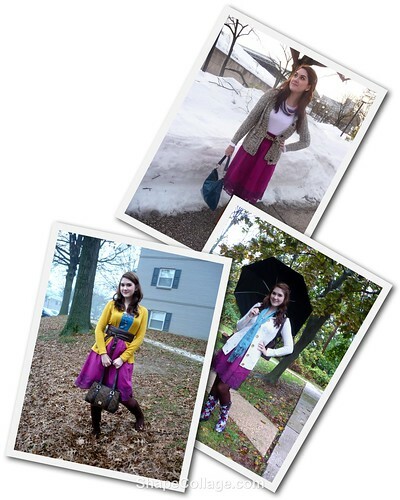 The purple skirt with the striped cardi! I love the outfit! The stripes are fantastic, and the colour of the dress is so pretty! I love how great they look paired together! The skirt is really fantastic! There is just something happy about pink-purple colors. 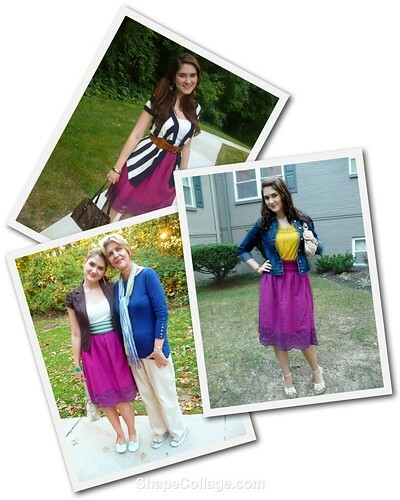 That dress/skirt is a gorgeous color! I like your outfit even better than Kendi's! I love the color! It looks so good on you! 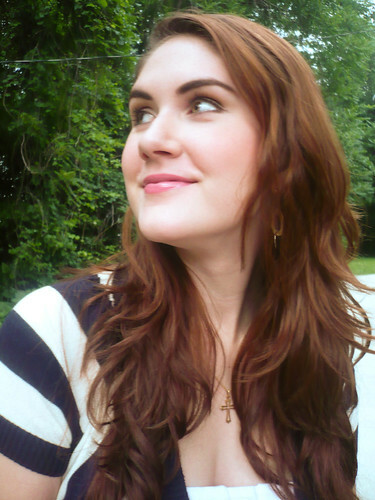 Cute look -- the stripey cardigan is just adorable. Movie days aren't a waste - movie days are awesome.